Spring Break season is in full swing right now and whether you have yet to go, or have already wrapped up your week-long party fest, know that Spring Break season does not have to officially ever end. That’s right, you can take your beach beer chugging skills with you to one of these 4 cities, that are perfect Spring Break spots, but also let you have the time of your life any of the other 51 weeks of the year. Cabo is the preeminent party spot on Mexico’s Baja Peninsula. Its beaches are spectacular and its clubs will welcome you with open arms. Cabo was basically built for partying, either on Spring Break with your friends or during that weeklong vacation when you get to rid yourself of any worries and rage hard with a bunch of new friends. 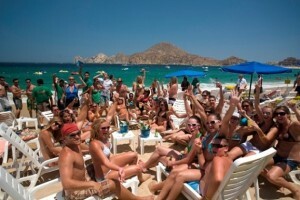 Cabo will bring the weather, beers, and babes, you need to bring your party shoes and a spare liver. 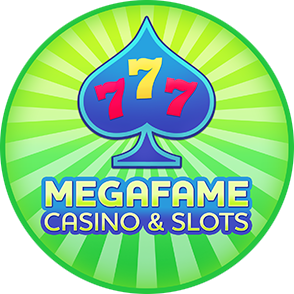 “Vegas, baby!” “What happens in Vegas stays in Vegas.” “Sin City.” You’ve all heard those before and with good reason. Vegas has marketed itself as the ultimate lost weekend destination and people from all over America flock there hoping to get their own version of The Hangover. You come to Vegas for one reason, and that’s to party harder than you’ve ever partied in your life. Sure, when you read the word, “Cancun”, the first thing that most likely pops into your head is, “Spring Break”. While that may be true because it is a premier Spring Break party destination, don’t be fooled. Cancun is a partying hotspot all year, and you really can’t go wrong here. The weather stays gorgeous all year, and the bars and clubs are consistently packed with sun touched bodies. The pool parties here stay busy all year, so there is plenty of entertainment. 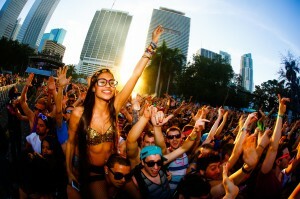 Miami is known for the beautiful nightlife and party scene, and that does not change when it isn’t Spring Break. Miami is one of those cities that you can head to any day of the week, any time of the year, and have a better time than you would just about anywhere. There is a reason people flock here, and if you like warm weather, beautiful people, and clubs that literally rage all night and morning, than you should be looking into flights instead of sitting and wishing.